Eximius Miracle Oil is heaven sent. Indeed, one of our buyers told me that "This is miracle for real!" 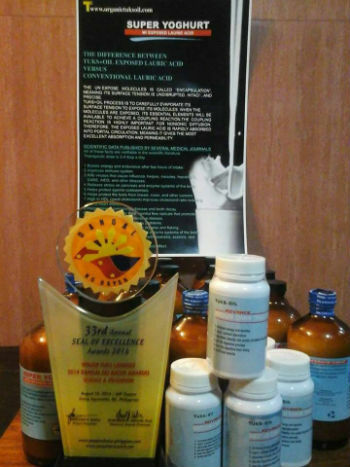 We are so amazed at how this product can help cure many diseases. 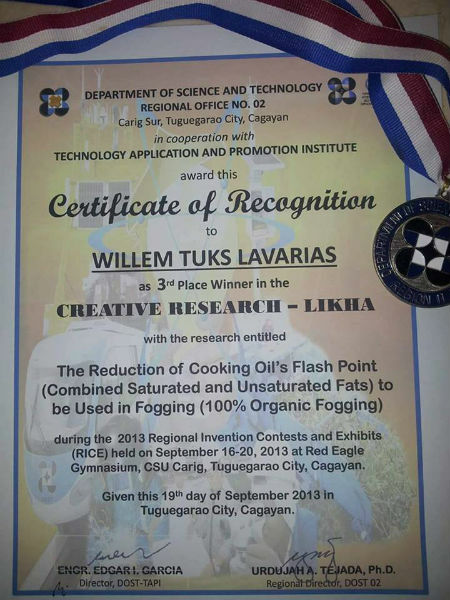 Thanks to the Filipino inventor Mr. Willem Tuks Lavarias. Eximius Miracle Oil is not the only one he invented. 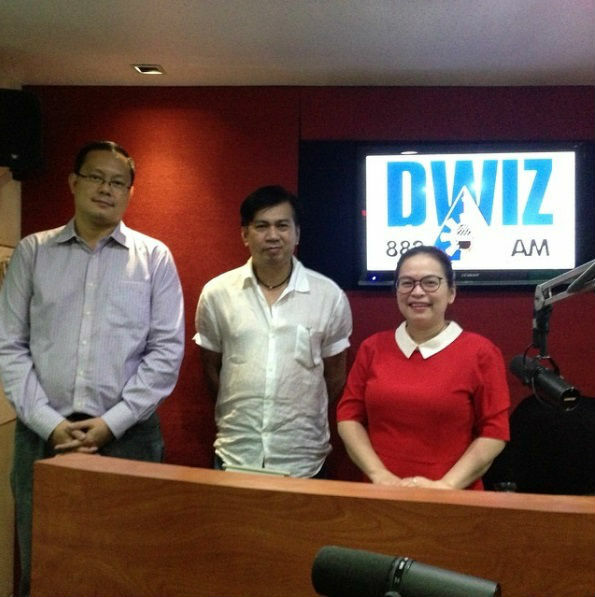 He had invented many useful and life-changing products that are being use here in the Philippines and in abroad. 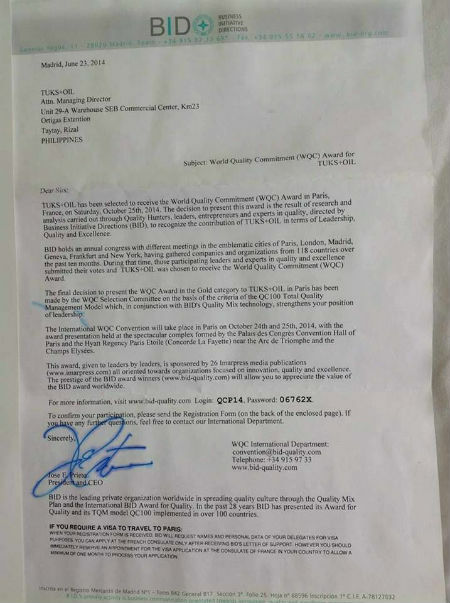 Because of these, he was invited for interviews, meetings and awards here in the Philippines and abroad. 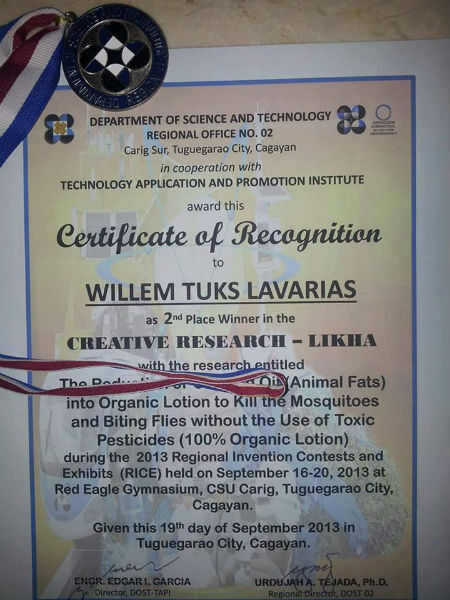 Here are the certificates and recognition of Mr. Willem Lavarias as an inventor. And still counting! Big companies trust his products. 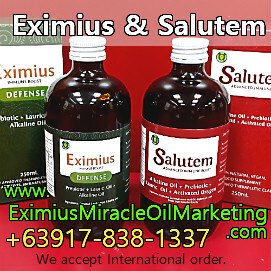 Eximius Miracle Oil is a breakthrough, life-changer, life-saver. Hello. How does the oil works? how much per bottle of eximius miracle oil and how to use it. where to buy of this product. Thank you.